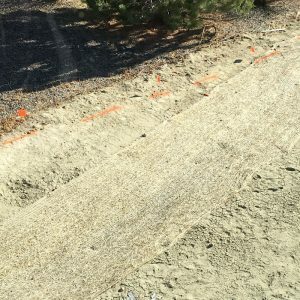 One of the (many) things they don’t tell you when you buy a new house is that when it comes to landscaping, you’re on your own. 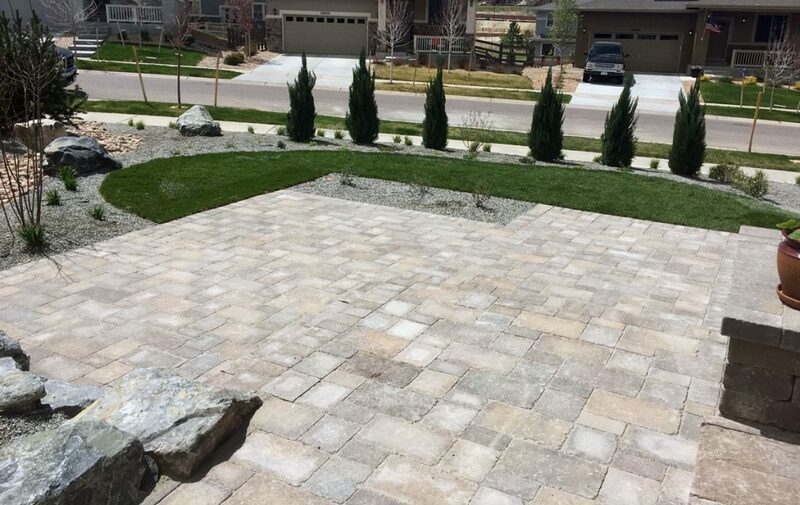 It’s either the bare minimum (sod, a couple of shrubs and a whole lot of rock), or nothing at all. And if you’re in a covenant-controlled community, the clock is ticking as soon as you close. Most HOAs want your landscaping done within a few months, if not weeks. Of course, they’ll also want to take a look at those plans and sign off on them before you even touch a shovel. They can’t have residents erecting giant gnome statues or painting corporate logos into their lawns. It wasn’t until about halfway through their seven-month build that Astrid and Denis Storey fully realized they had to figure out what to do with a backyard that was not only bigger than most of their neighbors’ plots, but highly visible since it sat on a corner lot. As they began their first conversation about the backyard, the Storeys (unwittingly) quickly realized they had two very different ideas about what to do. While Astrid envisioned her own “Secret Garden”, replete with robins and roses, Denis saw little more than a large putting green, bordered on all sides by fresh mulch. Oh, and a birdbath. He’d always wanted a birdbath. 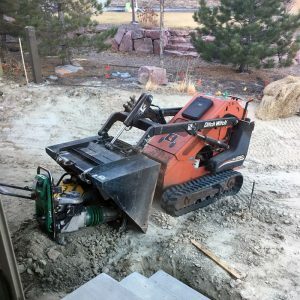 It’s startling how many people approach something as big as a backyard landscaping project without asking the simplest questions. What do you want in a backyard space? What will it be used for? Who’ll be using it: adults, children, pets? What’s the overall concept? Astrid and Denis quickly decided they wanted a place to grill and eat outside. They wanted a place for their daughter to play. They wanted minimal maintenance and water use, but also agreed on flora that would attract both bees and butterflies. After weeks of back and forth, they decided to invite Ivy Street Design landscape architect Ainslie O’Neil out to the site, and see how well their visions matched up with reality. Despite everything they said they wanted, and everything they thought they knew, they put their trust in the expert. They also gave her more than a little wiggle room to think outside the lawn, so to speak, and maybe surprise them with something completely different. Ainslie came up with plans for a shady living area, complete with pergola and multiple patio levels for entertaining, and featuring a natural plant barrier to bring privacy to the corner-adjacent lot. 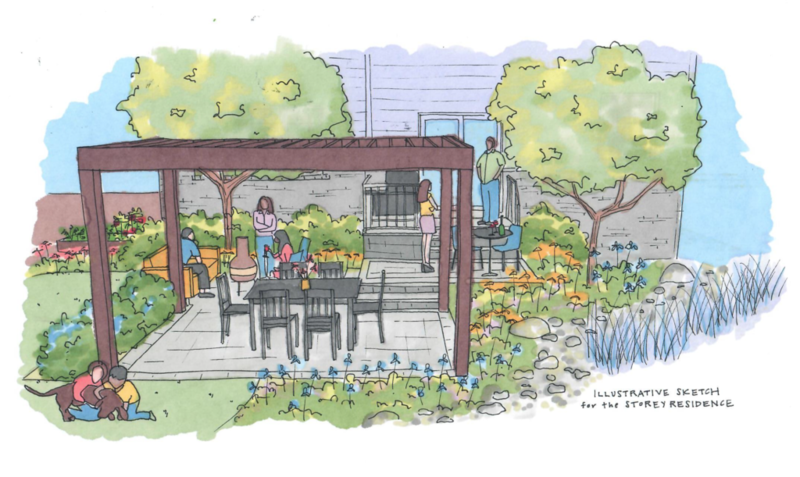 She put together a look book of native and drought-tolerant, yet colorful, trees, shrubs, and perennials – and still left room for the Storeys to pursue their urban gardening aspirations with cedar garden beds connected to the central irrigation system. 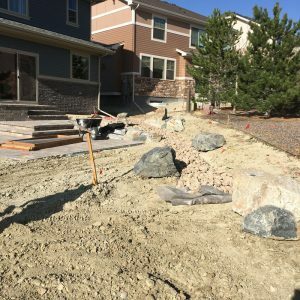 To address the issue of drainage, Ainslie proposed a dry streambed swale, to offer a natural way of draining away from the lot while maintaining the builder’s grading pattern and meeting City of Aurora’s landscape standards. In keeping with the owner’s preference for natural aesthetic, she employed cobble boulders to retain the slope on the property. While the client applied for design approval from the HOA by themselves, Ainslie prepared a comprehensive design package for submittal. She incorporated specific design goals of the community and took care to read the design guidelines thoroughly, ultimately providing Astrid and Denis with a conforming design that passed easily through the review board. When it came time for bidding the project, Ainslie contacted two vendors with experience working with clients in the City of Aurora who visited the site and used the design package we submitted to the HOA as a blueprint for the project specs. After a few weeks, Ainslie presented the Storeys with completed proposals from each vendor, as well as a comparative spreadsheet that put both contractors’ bids to be compared line by line. After careful consideration, the clients were able to research each vendor independently and ask Ainslie follow-up questions about potential phasing for the project as well as expertise in dealing with drainage. 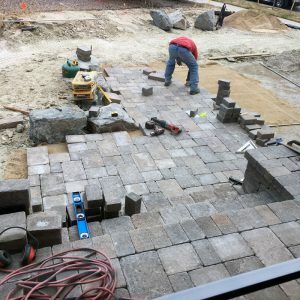 Once introductions were made to the project manager, Ainslie and Astrid kicked off the project with the hardscape in mid-March, taking advantage of a warmer than usual Spring. The crew of 2 worked, carefully observed by neighbors who stopped by daily to appreciate the progress of the extremely visible corner lot. Ainslie stopped by periodically to answer questions and verify the progress, as well as provide finish options for the porch metal handrail and answer unexpected last minute questions from the homeowners. After 4.5 weeks of construction, with a few late snow shower delays, the Storeys were able to meet with Ainslie and the project manager to do a final walkthrough. The finished project is already blooming and awaiting furnishings; Denis is busy planning where to put that birdbath and Harley is perfecting her boulder climbing. Timelines for a similar project require 5-6 weeks for design process, 3-4 weeks for competitive bidding, 4-6 weeks for HOA approval and construction duration varies. Hoping to enjoy your brand new landscape this fall? Get in touch now! The Storeys. Neighborhood: Southshore (SE Aurora). Contractors: Singing Hills Landscape. Type: Suburban, new construction. Architect: Ainslie O’Neil.